Are you ready for your football team to look like the pros on the field this year? 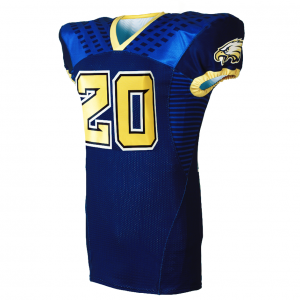 Want to design custom football jerseys that no other team in your league wears? 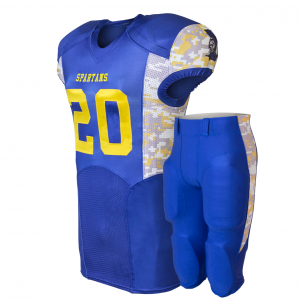 At Uniform Store we design football uniforms that will immediately position your program as champions of your league. We offer customization which includes colors, sizing, material, numbers, artwork, logos, and print. You can design your team's uniforms to resemble an NFL team or you can have something that is 100% unique. 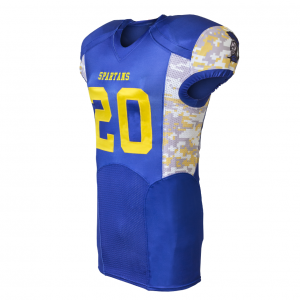 At Uniform Store we offer the highest quality football jerseys and pants plus complete customization and competitive pricing. Contact us today for a free quote and to inquire about rush delivery and current specials.